One of the mission statement of every kind of business is to assure their customer and potential investor the quality of their product and service offered with the hope of encouraging more potential customer and investors and keeping the current investment. 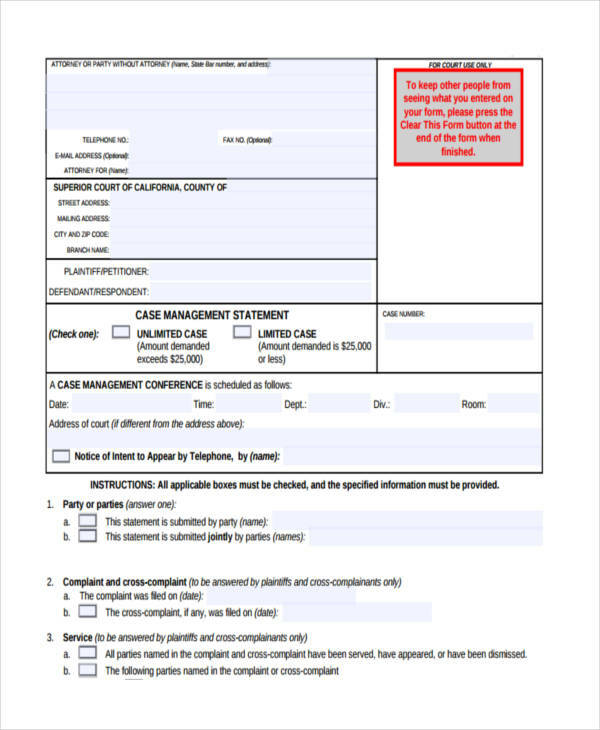 Making the management statement one of the important document in a business and legal firms. These being said, the statement’s main focus is on providing a detailed list and keeping the quality of the products and service offered and to highlight the goal that is achieved throughout the service. 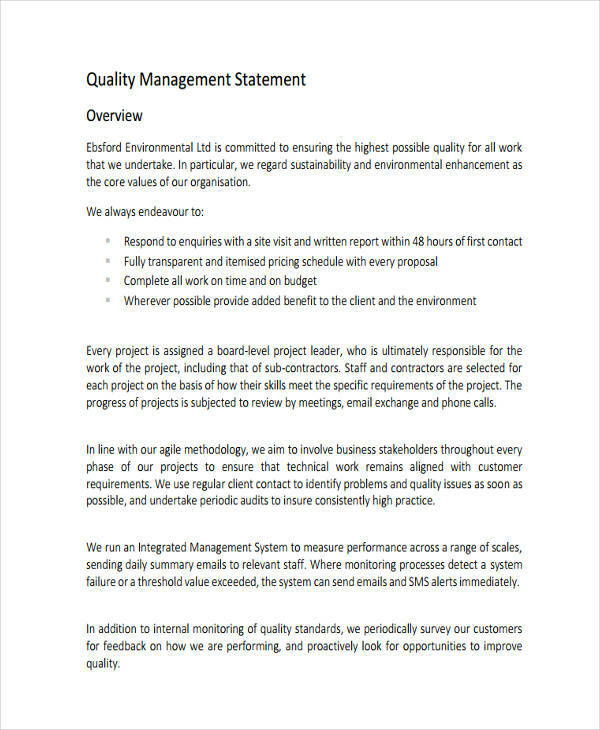 Maintaining a management statement is quite challenging, however, using our management statement examples will make it easier. A management statement is a process that is followed by every kind of entities, regardless of which they are profit making or non-profit making. The purpose of this is to convince and encourage the current investor and the customer about their products and services and to ensure and assist the efficient running of a business statement. A management statement can also be used in academic institutions to give emphasis on the rules and regulations that must be followed. 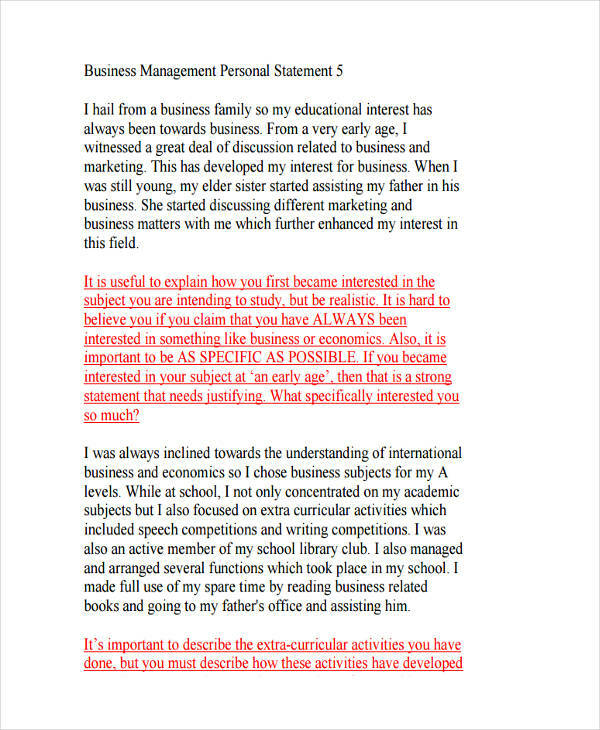 It is also used in the personal statements to give a highlight of the skills and abilities of one person. 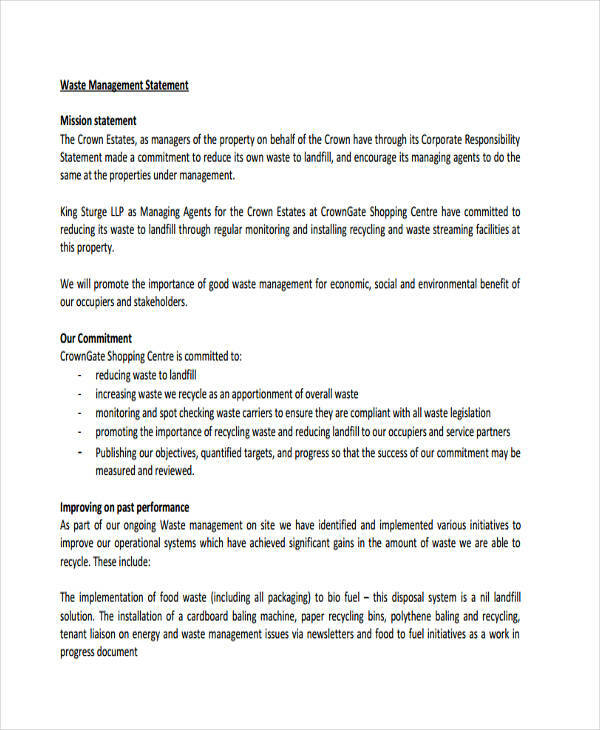 What Is a Building Management Statement? Building Management Statement (BMS) is a document that controls and manages how the mix-used building is acquired, controlled, and funded. A building management system governs the concept statement of a mix-used building, where there are retail and commercial spaces on the ground floor and with residential units sitting above them. A building management system can only exist with a registered at least two lots, one of which must be a volumetric lot. A volumetric lot is created from a subdivision or airspace. The building management statement regulates common areas between lots and joint obligations. 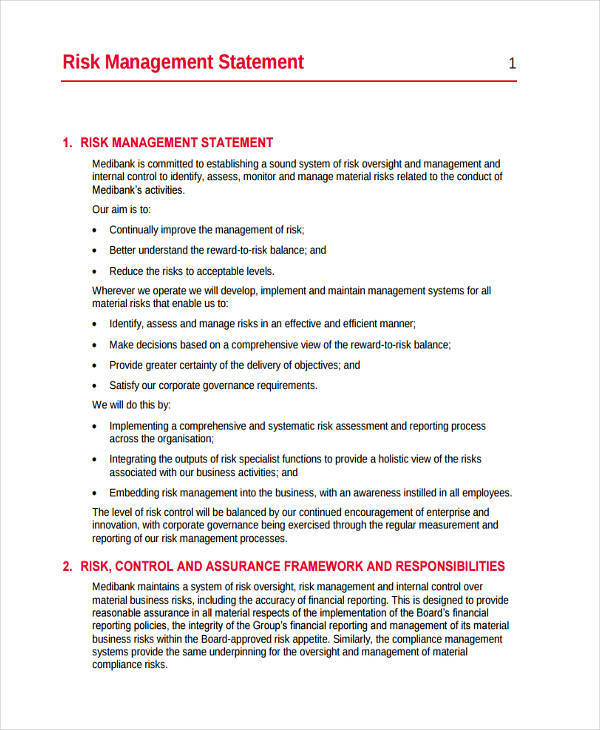 A risk management policy statement is a business statement that documents and manages the risk effectively. Many companies develop a risk management policy statement to control its assets and liabilities and protects its employees and community against a potential loss. It is also used by companies as a way to define those risk associated with performing a specific action. Risk management policy statement can be for actions from a physical activity where risk is involved in a manufacturing and production setting, to financial risk such as taking part in a risky investment venture. A community management statement (CMS) is a document that set up rules and regulations for living in a corporate entity, its development, shared property that is divided among individual lots and the rules for payment. 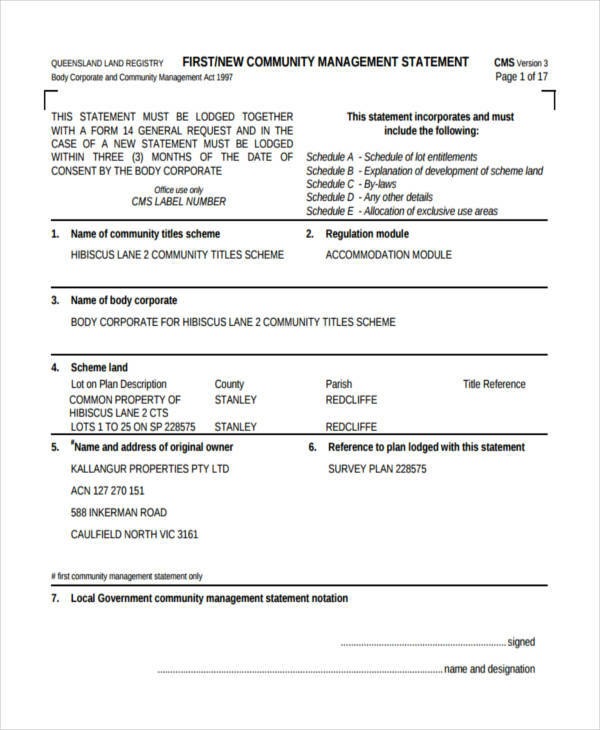 A community management statement determines scheme land that sufficiently reflects the requirements and impact statement for corporate entities. 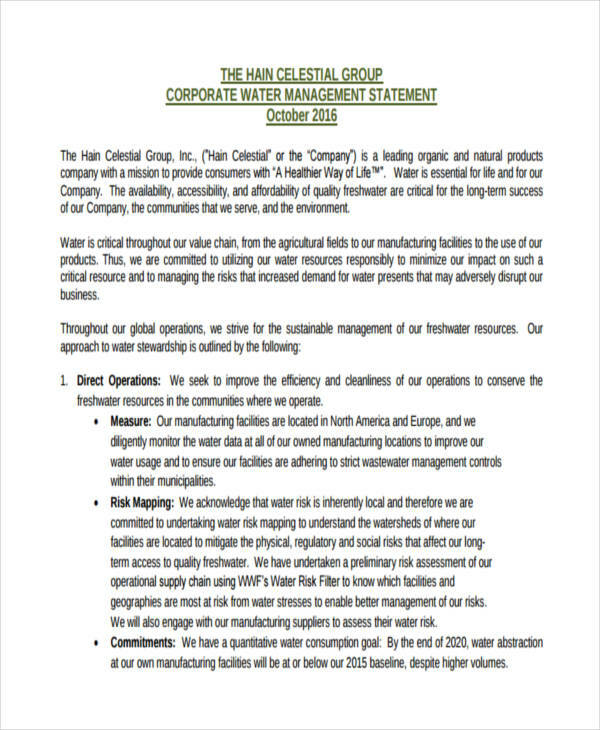 The community management statement sets out five schedules that are contained within that corporate entity. Schedule A – Contribution schedule, interest schedule, and schedule of lot entitlements. Schedule D – Location diagram of the scheme. Schedule E – Exclusive use allocation and plan.